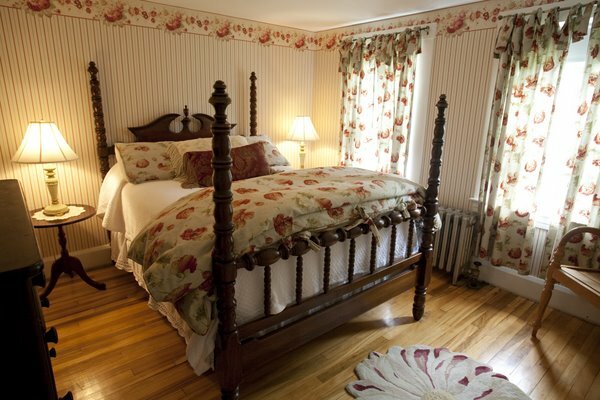 Cranberry flowers & stripes cover the walls and eaves of this lovely suite on the third floor. The antique poster bed is draped with a red poppy. The sitting area can quickly become a separate room for children or surprise extra company. And a window overlooks the Inn's side porches and the seasonal view of Mt. Monadnock.